The human brain has excellent plasticity in terms of recovery from a stroke. It is expected that neurorehabilitation using an apparatus that applies robotic and virtual reality technology has rehabilitation training effects on stroke patients. Rehabilitation of the upper limbs consists of rehabilitation for shoulders and elbows, and rehabilitation of the fingers and wrists. Both rehabilitations are necessary to improve activities of daily living. Many rehabilitation systems for shoulders and elbows have been effective thus far. In this review, we introduce rehabilitation systems for the shoulders, elbows, and wrists of the upper limbs “PLEMO” series using force presentation technology with brakes. Rehabilitation systems using brakes are essentially safe unlike rehabilitation systems using actuators. J. Furusho and N. Takesue, “Research and Development of Rehabilitation Systems for the Upper Limbs “PLEMO” Series,” J. Robot. Mechatron., Vol.31, No.1, pp. 35-44, 2019. Guidelines Committee for the Management of Stroke of the Japan Stroke Society (Eds. ), “Japanese Guidelines for the Management of Stroke 2015,” Kyowa Kikaku Co., Ltd., pp. 269-330, 2015 (in Japanese). M. Liu, E. Saitou, and S. Izumi (Eds. ), “New Trend of Rehabilitation Medicine,” Sentan-Iryo Gijyutu-Kenkyuusyo, 2005 (in Japanese). E. Taub, G. Uswatte, D. K. King et al., “A Placebo-controlled Trial of Constraint-Induced Movement Therapy for Upper Extremity after Stroke,” Stroke, Vol.37, No.4, pp. 1045-1049, 2006. H. I. Krebs, L. Dipietro et al., “A Pradigm Shift for Rehabilitation Robotics,” IEEE Engineering in Medicine and Biology Magazine, Vol.27, No.4, pp. 61-70, 2008. J. Mehrholzl, A. Hadrich, T. Platz, J. Kugler et.al., “Electromechanical and robot-assisted arm training for improving generic activities of daily living, arm function, and arm muscle strength after stroke,” Cochrance Database Syst. Rev., Vol.6, CD006876, 2012. J. Furusho and N. Takesue, “Research and Development of Functional Fluid Mechatronics, Rehabilitation Systems, and Mechatronics of Flexible Drive Systems,” J. Robot. Mechatron., Vol.28, No.1, pp. 5-16, 2016. J. Furusho, K. Koyanagi, Y. Imada, Y. Fujii, K. Nakanishi, K. Domen, K. Miyakoshi et al., “A 3-D Rehabilitation System for Upper Limbs Developed in a 5-year NEDO Project and Its Clinical Testing,” Proc. of the 2005 IEEE 9th Int. Conf. on Rehabilitation Robotics, pp. 53-56, 2005. J. Furusho, C. Li, Y. Yamaguchi, S. Kimura, K. Nakayama, T. Katsuragi et al., “6-DOF Rehabilitation Machine for Upper Limbs including Wrists Using ER Actuators,” Proc. of the 2005 IEEE Int. Conf. on Mechatronics and Automation (ICMA2005), pp. 1033-1038, 2005. J. Furusho et al., “Development of Low-inertia Actuator and Its Application to Virtual Reality,” Proc. of JSME Spring Annual Meeting, Vol.4, pp. 265-266, 1995 (in Japanese). J. Furusho et al., “New Actuators Using ER Fluids,” J. of the Robotics Society of Japan, Vol.15, No.3, pp. 323-325, 1997 (in Japanese). J. Furusho et al., “Application of Robotics Technology to Rehabilitation System for Upper and Lower Extremities and Nursing Care Systems,” Sogo Rehabilitation, Vol.35, No.5, pp. 439-445, 2007 (in Japanese). J. Furusho et al., “A 3-D Rehabilitation System for Upper Limbs ‘EMUL’, and a 6-DOF Rehabilitation System ‘Robotherapist’ and Other Rehabilitation System with High Safety,” Rehabilitation Robotics, I-Tech Education and Publishing, pp. 115-136, 2007. J. Furusho and Y. Jin, “A 6-DOF Rehabilitation System for Upper Limbs ‘Robotherapist’ and Other Rehabilitation Systems with High Safety, Rehabilitation Engineering,” I-Tech Education and Publishing, pp. 245-287, 2009. J. Furusho and T. Morikawa, “Rehabilitation Support Systems Using ER Fluids and MR Fluids,” J. of the Japan Fluid Power System Society, Vol.42, No.1, pp. 12-15, 2011 (in Japanese). J. Furusho, K. Koyanagi, J. Kataoka et al., “Development of 3-D Rehabilitation System for Upper Limb (1st Report: Development of Mechanism Including ER Actuators and Whole Systems),” J. of the Robotics Society of Japan, Vol.23, No.5, pp. 629-636, 2005 (in Japanese). J. Furusho, K. Koyanagi et al., “Development of Rehabilitation Robot System with Functional Fluid Devices for Upper Limbs,” Proc. of the 8th Int. Conf. on Rehabilitation Robotics (ICORR 2003), pp. 31-34, 2003. J. Furusho, “Rehabilitation Support Robot for Upper Extremities and Their Full-Scale Practical Use,” Sogo Rehabilitation, Vol.38, No.12, 2010 (in Japanese). K. Miyakoshi, K. Domen, T. Koyama, J. Furusho, and K. Koyanagi, “The effect of Robot-aided training on motor recovery following stroke,” The Japanese J. of Rehabilitation Medicine, Vol.43, No.6, pp. 347-352, 2006 (in Japanese). J. Furusho et al., “Training by a Rehabilitation System for Upper Limbs using Robotics and VR Technologies and Physical Therapy, and Its Evaluation including Brain Activity,” J. of the Society of Biomechanisms, Vol.33, No.2, pp. 109-116, 2009 (in Japanese). J. Furusho and K. Nakayama, “Rehabilitation System for Upper Extremities with 6-DOF ‘Serafy’,” J. of Robotics Society of Japan, Vol.24, No.2, p. 186, 2006 (in Japanese). J. Furusho and N. Shichi, “6-DOF Rehabilitation Robot for Upper Limbs with High Safety,” The Japanese Society for Wellbeing Science and Assistive Technology, Vol.5, No.2, p. 4, 2006 (in Japanese). J. Furusho et al., “Development of Rehabilitation Systems for Upper Limbs EMUL, Robotherapist, and PLEMO,” Selected Papers from the Japanese Conf. on the Advancment of Assistive and Rehabilitation Technology: 23rd JCAART, H. Onabe, M. Kubo, D. Collins, and R. Cooper (Eds. ), IOS Publishing, pp. 84-92, 2011. K. Oda, M. Haraguchi, and J. Furusho, “Development of Evaluation and Training System of Upper Limbs Movement for Cerebellar Ataxia Using VR Technology,” J. of Japanese Society for Medical Virtual Reality, Vol.12, No.1, pp. 27-38, 2014 (in Japanese). 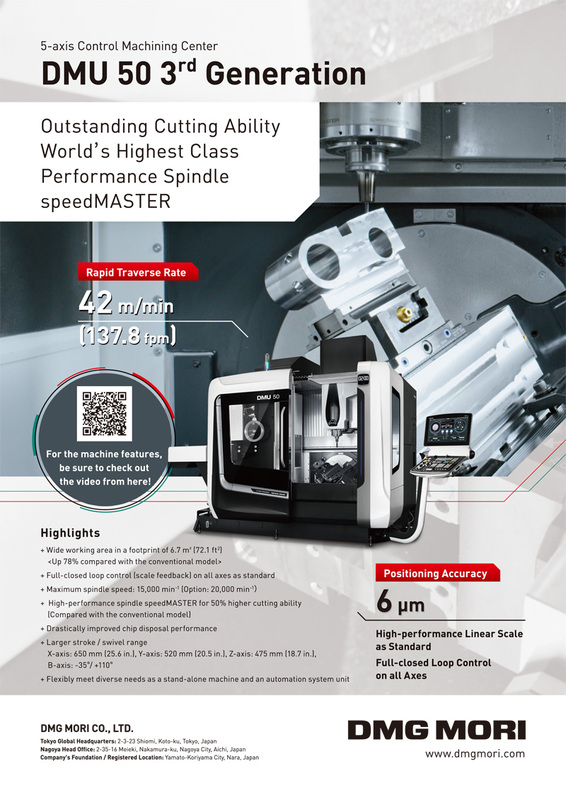 J. Furusho, M. Sakaguchi, N. Takesue, and K. Koyanagi, “Development of ER Brake and its Application to Passive Force Display,” J. of Intelligent Material Systems and Structures, Vol.13, Nos.7-8, pp. 425-429, 2002. J. Furusho, T. Ozawa et al., “Research and Development of Quasi-3D Rehabilitation System for Upper Limbs PLEMO-P3,” The Japanese J. of Rehabilitation Medicine, Vol.46, 1-4-21, 2009 (in Japanese). T. Ozawa, J. Furusho et al., “Development of Rehabilitation System for Upper Limbs PLEMO-P3 System for Hemiplegic Subject,” J. Robot. Mechatron., Vol.25, No.1, pp. 136-144, 2013 (Full Translation from Trans. of JSME, Series C, Vol.76, No.762, pp. 323-330, 2010). J. Furusho et al., “A Performance Evaluation Method of a Passive-Type Force Display and Rehabilitation System with Redundant Brakes,” Proc. of IEEE Int. Conf. on Rehabilitation Robotics, pp. 950-955, 2009. J. Furusho, R. Kawatani et al., “Development of the Passive-Type Force Display System ‘Neo-PLEMO’, Which Can Display the Opposite Resistance Force against Handle on the Arbitrary Link Posture,” Trans. of Japanese Society of Mechanical Engineers, Series C, Vol.78, No.786, pp. 187-198, 2012 (in Japanese). J. Furusho, H. Yoshida, and K. Hayakawa, “Non-Wearing Type Rehabilitation Systems for Upper Extremities,” J. of the Japan Society of Mechanical Engineers, Vol.119, No.1166, pp. 19-21, 2016 (in Japanese). J. Furusho, H. Kojima, A. Tabata, and S. Arai, “Development of Rehabilitation System for Upper-Limbs with Compactness and High Portability PLEMO-P7 at FURUSHO Laboratry of Fukui University of Technology,” Proc. of 2015 JSME Conf. on Robotis and Mechatronics, 2A1-H06, 2015 (in Japanese). 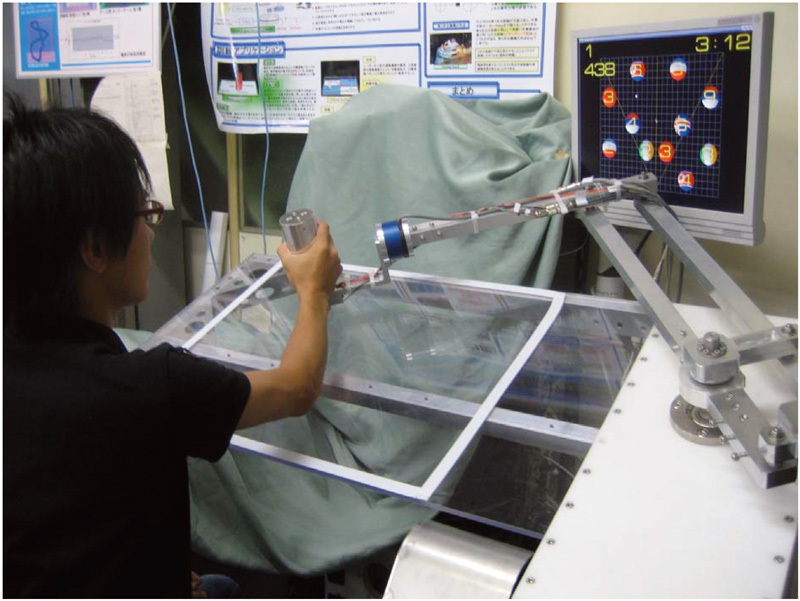 N. Takesue, J. Furusho, S. Mochizuki, and T. Watanabe, “Analysis of Displayable Force Region at Passive-Type Force Display with Redundant Brakes – Development of Rehabilitation System for Upper Limbs PLEMO-Y (Redundant) –,” J. Robot. Mechatron., Vol.30, No.6, pp. 880-891, 2018. J. Furusho, N. Takesue, and J. Noma, “Magneto-rheological fluid (MRF) Actuators and their Applications to Welfare, Nursing Care and Rehabilitation,” K. Terashima (Eds. ), “Robot Technology for Life Support,” Jyouhou Kikou, pp. 226-235, 2015 (in Japanese). J. Furusho et al., “Compact MR Fluid Actuator for Human Friendly System,” T. Higuchi, K. Suzumori, and S. Tadokoro (Eds. ), “Next-Generation Actuators Leading Breakthrough,” Springer, pp. 329-336, 2010. Y. Yamaguchi, J. Furusho, S. Kimura, and K. Koyanagi., “Development of High-Performance MR Actuator and Its Application to 2-D Force Display,” Int. J. of Modern Physics B, Vol.19, Nos.7-9, pp. 1485-1491, 2005. J. Furusho et al., “Development of Rehabilitation Systems for the Limbs Using Functional Fluids,” J. Robot. Mechatron., Vol.26, No.3, pp. 302-309, 2014. S. Mochizuki, N. Takesue, T. Watanabe, J. Furusho, and S. Akaiwa, “Development of Passive-type Rehabilitation Support System for Upper Limbs PLEMO-Z with Nano-particle MR-fluid Brakes,” Proc. of 2019 JSME Conf. on Robotics and Mechatronics, 2019 (in Japanese). C. G. Burgar, P. S. Lum, P. C. Shore, and H. F. Loos, “Development of Robots for Rehabilitation Therapy: Palo Alto VA/Stanford Experience,” J. of Rehabilitation Research and Development, Vol.37, No.6, pp. 663-673, 2000. M. Simkins, H. Kim, G. Abrams, N. Byl, and J. Rosen, “Unilateral and Bilateral Upper-Limb Movement Training for Stroke Survivors Afflicted by Chronic Hemiparesis,” Proc. of Int. Conf. on Rehabilitation Robotics 2013, Seattle, 2013. M. Simkins, H. Kim, G. Abrams et al., “Unilateral and Bilateral Upper-Limb Movement Training for Stroke Survivors Afflicted by Chronic Hemiparesis,” Proc. of Int. Conf. on Rehabilitation Robotics, 2013. G. Rosati, M. Andrelli, A. Biondi, and P. Gallina, “Performance of Cable Suspended Robots for Upper Limb Rehabilitation,” Proc. of IEEE Int. Conf. on Rehabilitation Robotics, pp. 385-392, 2007. L. Dipietro, H. I. Krebs, B. T. Volpe, J. Stein, C. Bever, S. T. Memoff, S. E. Fasoli, and N. Hogan, “Learning, Not Adaptation, Characterizes Stroke Motor Recovery: Evidence from Kinematic Changes Induced by Robot-Assisted Therapy in Trained and Untrained Task in the Same Workspace,” IEEE Trans. on Neural Systems and Rehabilitation Engineering, Vol.20, No.1, pp. 48-57, 2012. T. H. Wanger, A. C. Lo, P. Peduzzi, D. M. Bravata, G. D. Hung, H. I. Krebs et al., “An Economic Analysis of Robot Assisted Therapy for Long-Term Upper-Limb Impairment after Stroke,” Vol.42, No.9, pp. 2630-2632, 2011. M. Mihelj, D. Novak, J. Ziherl et al., “Challenges in Biocooperative Rehabilitation Robotics,” IEEE Int. Conf. on Rehabilitation Robotics, pp. 674-679, 2011. A. E. Jackson, P. R. Culmer et al., “Effector Force Requirements to Enable Robotic Systems to Provide Assisted Exercise in People with Upper Limb Impairment after Stroke,” IEEE Int. Conf. on Rehabilitation Robotics, pp. 444-449, 2011. J. Guerra, J. Uddin, D. Nilsen et al., “Capture, Learning, and Classification of Upper Extremity Movement Primitives in Healthy Controls and Stroke Patients,” 2017 IEEE Int. Conf. Rehabilitation Robotics, pp. 547-554, 2017. P. Sale, S. Mazzoleni, V. Lombardi et al., “Recovery of Hand Function with Robot-assisted Therapy in Acute Stroke Patients: A Randomized-controlled Trial,” Int. J. Rehabil. Res., Vol.37, No.3, pp. 236-342, 2014. T. Tsuji and K. Ogata, “Rehabilitation Systems Based on Visualization Techniques,” J. Robot. Mechatron., Vol.27, No.2, pp. 122-125, 2015. J. Furusho and H. Ikeda, “Rehabilitation, Nursing Care and Mechatronics,” J. of the Japan Society of Mechanical Engineers, Vol.119, No.1166, pp. 4-7, 2016 (in Japanese). K. Ishida, J. Furusho, N. Kumgai, and Y. Kobayashi, “Desktop Reach Motion Test with the Kinect Sensor – Retesting Reliability: Detecting Brain Stroke Abnormalities by Maximum Trajectory Width in Various Body Parts,” J. of the Japanese Society for Experimental Mechanics, Vol.17, No.4, pp. 304-311, 2017 (in Japanese). J. Furusho and T. Fujikawa, “Rehabilitation of Motor Function of Upper Limbs and its Control (One Arm Motor Function), Robot Control Handbook,” Kindai Kagakusya, pp. 775-777, 2017 (in Japanese). J. Furusho et al., “Development of the Passive-Type Force Display System ‘Neo-PLEMO’, Which Can Display the Opposite Resistance Force against Handle on the Arbitrary Link Posture,” Trans. JSME, Series C, Vol.78, No.786, pp. 187-198, 2012 (in Japanese). J. Furusho, “Development of Rehabilitation Systems for Upper-Limbs and Lower-Limbs Using Functional Fluids,” Invited Speech in Asian Prosthetic and Orthotic Scientific Meeting 2012, 2012. S. I. Kim et al., “Proprioception rehabilitation training system for stroke patients using virtual reality technology,” 35th Annual Int. Conf. of the IEEE EMBS, pp. 4621-4624, 2013. A. R. Fugl-Meyer, L. Jääskö, I. Leyman, S. Olsson, and S. Steglind, “The Post-stroke hemiplegic Patient: A method of Evaluation of Physical Performance,” Scandinavian J. of Rehabilitation Medicine, Vol.7, pp. 13-31, 1975. S. Brunnstrom, “Movement therapy in hemiplegia; A neurophysiological approach,” Harper & Row, First edition, 1970. J. Furusho, “Rehabilitation Robotics,” J. of Japanese Society of Human Care and Network, Vol.16, No.1, pp. 21-32, 2018 (in Japanese). J. D. Carlson, D. M. Catanzarite, and K. A. St. Clair, “Commercial Magneto-Rheological Fluid Devices,” Proc. 5th Int. Conf. on ER Fluids, MR Suspensions and Associated Technology, World Scientific, pp. 20-28, 1995. J. Noma, H. Abe, T. Kikuchi, J. Furusho, and M. Naito, “Magnetorheology of colloidal dispersion containing Fe nanoparticlessynthesized by the arc-plasma method,” J. of Magnetism and Magnetic Materials, Vol.322, pp. 1868-1871, 2010. M. Muriuki and W. W. Clark, “Design issues in magnetorheological fluid actuators,” Proc. of the SPIE Conf. on Passive Damping and Isolation, Vol.3672, pp. 55-64, 1999. A. S. Shafer and M. R. Kermani, “On the feasibility and suitability of MR fluid clutches in human-friendly manipulators,” IEEE/ASME Trans. on Mechatronics, Vol.16, pp. 1073-1082, 2011. N. Takesue, M. Sakaguchi, and J. Furusho, “Improvement of Response Properties of MR-Fluid Actuator by Torque Feedback Control,” Proc. IEEE Int. Conf. on Robotics and Automation, Vol.4, pp. 3825-3830, 2001. N. Takesue, J. Furusho, and Y. Kiyota, “Fast Response MR-Fluid Actuator,” JSME Int. J., Series C Mechanical Systems, Machine Elements and Manufacturing, Vol.47, No.3, pp. 783-791, 2004. Y. Yamaguchi, J. Furusho et al., “Development of High-Speed/High-Torque MR Actuator Using Silicon Steel Sheet,” Trans. JSME, Series C, Vol.70, No.698, pp. 2886-2893, 2004 (in Japanese). F. Coupar, A. Pollock, F. van Wijck, J. Morris, and P. Langhorne, “Simultaneous bilateral training for improving arm function after stroke,” Cochrane Database Syst. Rev., Vol.4, No.4, p. CD006432, 2010. J. Furusho, H. Kojima, and A. Tabata, “Development of Upper and Lower Limb Rehabilitation System PLEMO-BAT PLEMO-BLT for Stroke Patients Using Bilateral Limb Motion,” Proc. of 2015 JSME Conf. on Robotics and Mechatronics, 2A2-I03, 2015 (in Japanese).